MDC Member of Parliament Lynette Karenyi, who was injured during last week’s chaos in Parliament, says the national assembly risks losing its integrity by allowing violence to be perpetrated against women. Karenyi, who sustained injuries on her left arm and leg, said their treatment by the police was disrespectful and as women they felt violated. “The speaker (Jacob Mudenda) failed us by allowing the police to come into parliament to forcibly remove us. There is no section of the law which says police should be called in if people refuse to stand up in the presence of the President,” she fumed. The outspoken legislator said she was targeted because she had earlier raised an issue about alleged sexual harassment of female MPs by their male counterparts. “The police were targeting specific people and I felt that it was because of the issue I had raised which exposed some male MPs,” she said, adding that the Zanu PF legislators were not happy that she had exposed the rot. Karenyi said female MPs were constantly harassed by some male legislators. “The young and new female members are now scared to even contribute because they will be harassed,” she said. The legislator said at times they would shout obscenities and harangue the female legislators. “I am one of the few who are not afraid to stand up and speak and that is why I raised the issue,” she said. 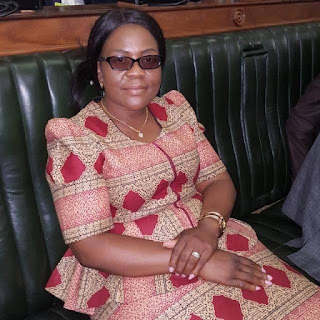 Karenyi said when President Emmerson Mnangagwa walked into the National Assembly for the budget presentation on Thursday, the MDC legislators remained seated. “As usual, we did not stand up and the Speaker said because we had disobeyed orders to stand up, he was calling in the police,” she said. Karenyi said there was no justification for Mudenda to call in the police because they were not making any noise and were calm. “The police came in targeting people and I was also picked on,” she said. “They dragged me around and in the process my dress was drawn up exposing my legs. That is just plain disrespectful. Karenyi claimed that she was stamped on and some people fell on top of her as she sat on the floor resisting being forced out. She was taken to Avenues Clinic along with another female legislator, Tabitha Khumalo, who had collapsed during the melee.